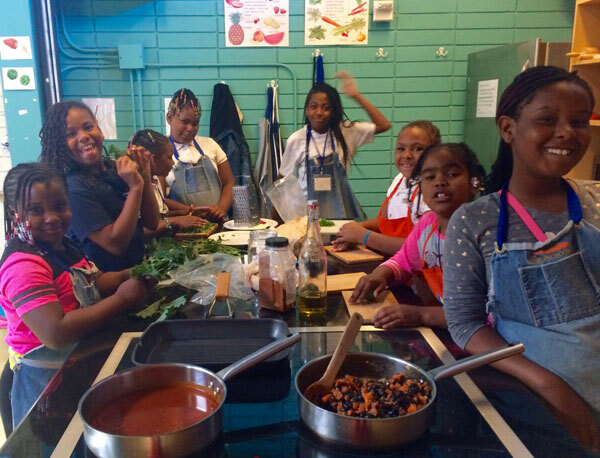 During the month of March 2016 the primary focus for the Seed to Mouth cooking class at Willie Mays was discussing vitamins and their carriers. 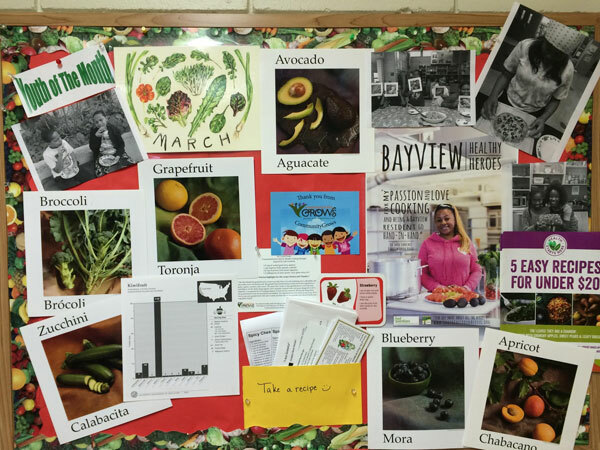 Relating vitamins and minerals to the food from which they come, touring our very own garden to discuss these matters further, then working together to execute recipes that would offer us those vitamins. 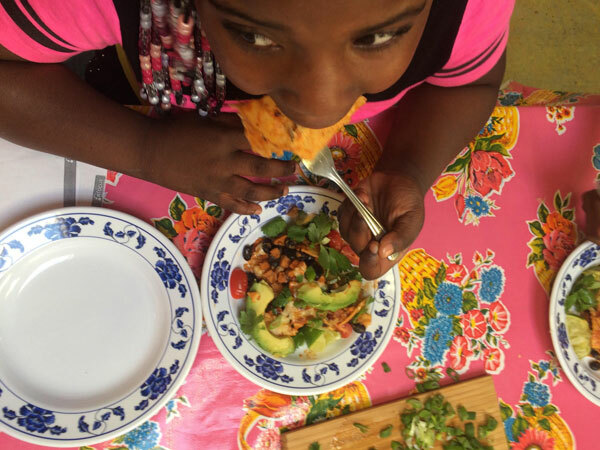 We ended the month by discussing some of our favorite comfort foods that also provide our bodies the vitamins and sustenance that they need, and how we might still be able to enjoy those comfort foods when making modifications to assure that they are healthier for us. 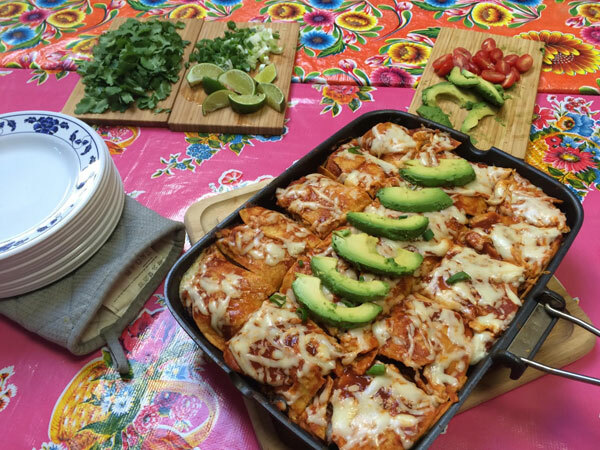 Such as taking an enchilada recipe and cutting the cheese in half or thirds, to reduce fat and sodium. 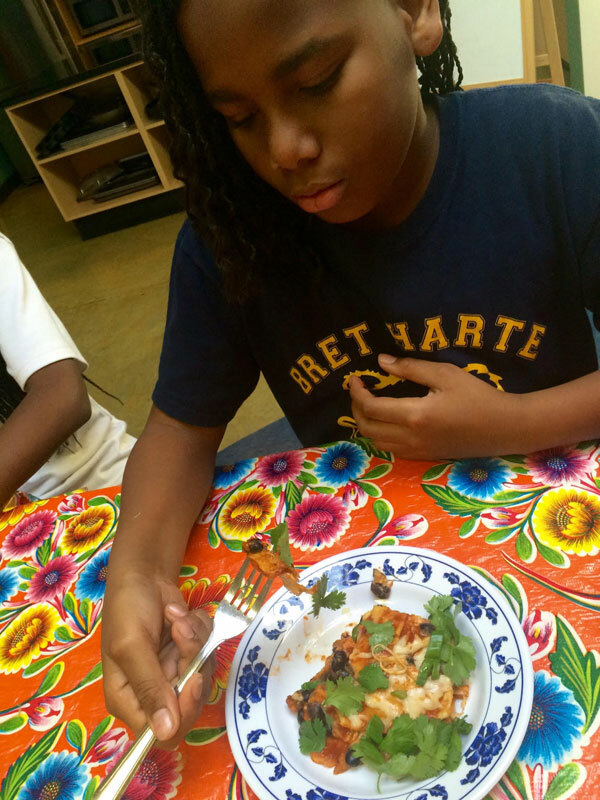 Pictured above is a black bean & squash enchilada casserole (a club favorite) made by our elementary schoolers. Rather than put three layers of cheese (as the recipe called for), we put just one on top. In place of using a “dollop of sour cream” on top we opted for a slice of avocado, to offer a healthy fat instead. On our second week, we acquired a new gadget, called “The Spiralizer”, which shapes vegetables into different size noodles. Our middle and high school groups were the first to try it out. I also taught club members how they could do this at home with a simple veggie peeler. 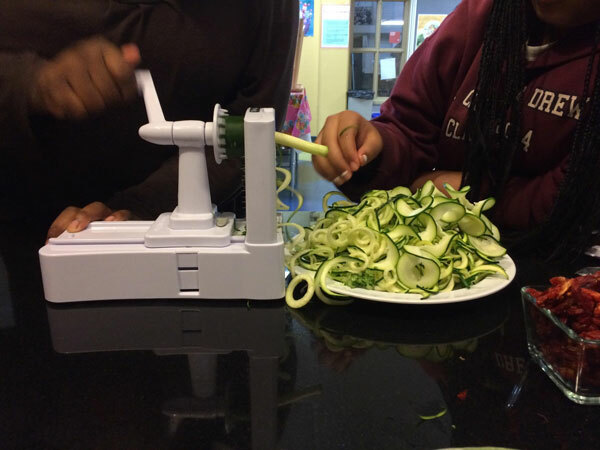 From zucchini, to beets, to carrots and daikon radishes, we spent each class session using the spiralizer for a different recipe. 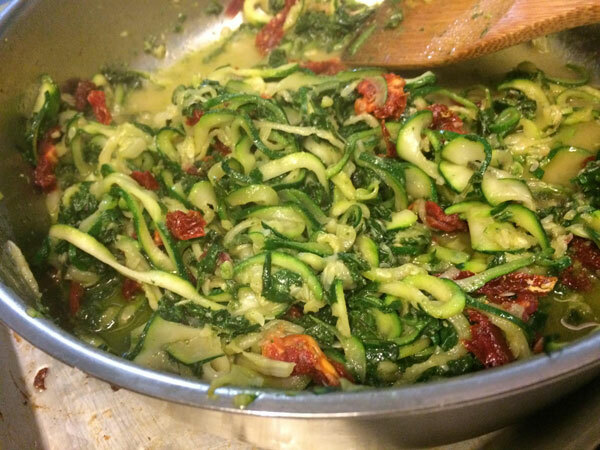 Pictured below is our sun-dried tomato “zucchini pasta” mixed with a kale pesto, which was made by club members the day before from a bountiful harvest of kale, taken from the ESY garden. One of the goals for Crystal Jones (program manager) this month, was to install a nutrition resource board that clubhouse members can use as a resource board to learn about the Harvest of the Month, what’s in season, and to take home some of their favorite recipes that they’ve learned how to make in this year’s cooking class. With the help of some of the teen staff members, we are glad to report it can finally be seen on the walls of the clubhouse. The next time you’re in the neighborhood, visit the halls of our kitchen to pick out a favorite recipe and to see our ever-changing board in person! Until next time, eat well! – Sincerely, your friends at Willie Mays Seed to Mouth Program.